Will my dog hurt my baby? I barely have enough time as it is, shouldn't I just re-home the dog? I'm just so worried... These are all common, normal thoughts that expectant parents have when they are about to have a human baby while already sharing their life with a loved family dog. Parent Empowerment Training (P.E.T.) was developed to help guide expectant and new parents in the safest direction possible to prepare you, your dog, and baby to live happily ever after. 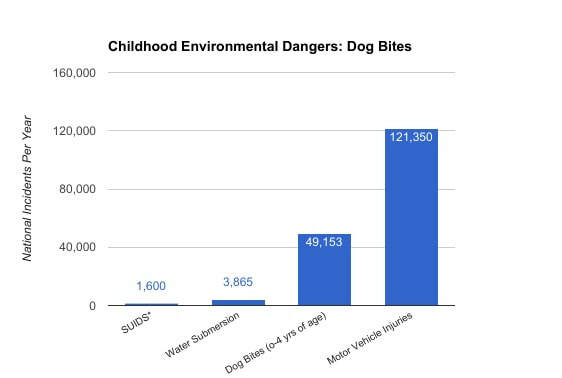 Problems that put young children at risk and cause even “good” family dogs to lose their homes are more common than you think, but are completely avoidable. 77% of dog bites come from the family dog or a friends dog. hands on training & personalized recommendations. handouts that encompass each recommendation. an emailed summary of each visit to share with the nanny, grandparents, etc. follow up email/phone support​ between sessions for those moments when you may need emotional support. A. As soon as you find out you're expecting! Just as parents are planning and getting use to their future life with baby, your dog needs time to acclimate to changes too. A. Most families complete the Main Topics by the end of the 5th session. Additional sessions can be incorporated to work on problem behaviors such as: jumping, barking, reactivity towards people/dogs. Q. My baby is already here, can you still help us? ​A. Yes! The program is still incredibly helpful if you’ve already had your baby. Each family is unique and with private, in-home sessions it can be tailored to your particular family needs. Q. My dog is practically perfect... do you still recommend the program? A. Yes! Every dog has limits just like people do. If what you learn prevents your dog from feeling as though they need to growl or worse the education is priceless. It's unsettling living under the same roof when your dog has already growled at your baby! Q. My home is out of your service area, can you still help us? A. I definitely have a history of traveling well out of my service area when families and I are able to coordinate. Please feel welcome to contact and we chat about remote and in-person options. ​"You should not have to make the gut-wrenching decision to re-home your dog, take them to the shelter, or worse. You have the power to learn how to juggle motherhood or fatherhood while including your loved dog and find great balance. You can be happy, have a happy dog, happy baby, and everyone can be safe!" CDC/NCHS, National Vital Statistics System, Compressed Mortality File.